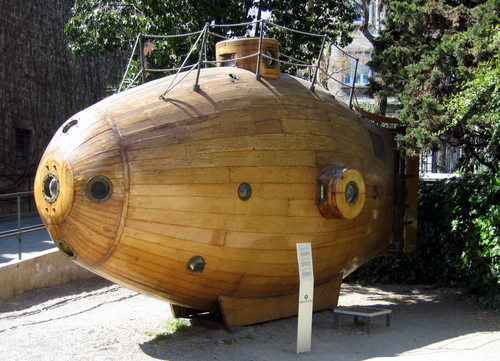 Few Victorian inventions have the grace and charm of the Ictíneo, the series of two wooden submarines built by Narcís Monturiol i Estarrol in the second half of the nineteenth century. Unlike some of the better known early submarines from his contemporaries in Germany, France and the United States, the Catalan inventor managed to build submarines that operated flawlessly. The Ictíneo II was the first combustion engine driven submarine ever, pioneering concepts that were only rivalled in the 1940s. Sadly, both submarines were eventually scrapped and Monturiol died penniless and forgotten.